A stylized geometric border frames the space for guests to write in their responses as well as express their sentiments. The piece is flat printed single-sided on luxuriously thick cover stock with a subtle eggshell textured finish. 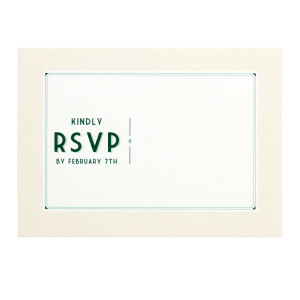 $366 for 100 flat printed RSVP Reply Cards.